The Royal Vendor Vision Cooler is built to last heavy usage and easy to maintain with service access to components from the lower front panel. 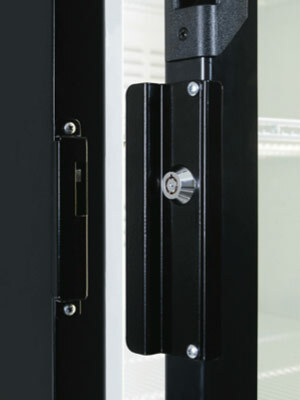 It also meets industry standards including ENERGY STAR® qualified components and comes with many quality features including a Health Timer Lock Mechanism (optional). Available models include a top display with 5 shelves and fluorescent lighting (Model: RVCH-027), or a full length door with 6 shelves and LED lighting (Model: RVCFH-027). The Royal Vendor Vision Cooler is built to last heavy usage and easy to maintain with service access to components from the lower front panel. It also meets industry standards including ENERGY STAR® Tier 3 compliance and comes with many quality features including triple pane glass and LED lighting. Optional stainless steel exterior available. 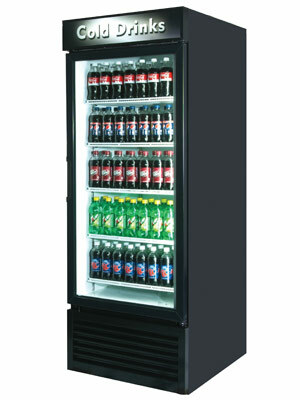 The RVCFH027 Health Timer Cooler comes standard with a high-visibility full-length glass door and 4 full-depth shelves plus a 1—1/2 depth bottom shelf. Baskets, dividers, and additional shelves are available as accessories. Royal Vision Coolers are tested to rigorous performance standards, including continuous operation at up to 90F and 65% relative humidity ambient conditions. The Royal Vendor Vision Freezer is built to last heavy usage and easy to maintain with service access to components from the lower front panel. It also meets industry standards including ENERGY STAR® Tier 3 compliance and comes with many quality features including triple pane glass and LED lighting. Optional stainless steel exterior available. 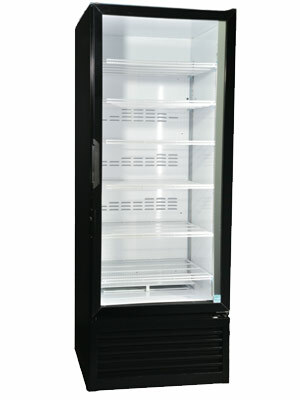 The RVZFH-027 Health Timer Freezer comes standard with a high-visibility full-length glass door and 4 full-depth shelves plus a 1—1/2 depth bottom shelf. Baskets, dividers, and additional shelves are available as accessories. Royal Vision Freezers are tested to rigorous performance standards, including continuous operation at up to 90F and 65% relative humidity ambient conditions.